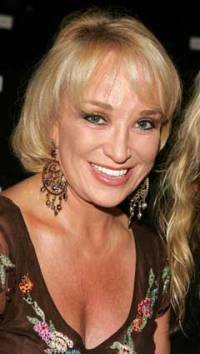 A manicurist who claims she was attacked by country singer Tanya Tucker's dog is suing the country music singer for $300,000 (EUR221,271). Danielle D. Hobbs, a manicurist for Carol G's Hair Salon, alleges in a lawsuit filed last week that the dog ran from a bedroom at Tucker's home and began biting her without any warning. She said she suffered painful and disfiguring scars on her leg. Hobbs said she was attacked May 2, 2006, while she was at Tucker's home near Nashville to give her a manicure. She said Tucker has at least eight dogs, and several of them growled and barked at her during two previous visits to the home, The Tennessean reported Tuesday. Hobbs said she told the singer's assistant that she was afraid of the dogs and asked that they be restrained, but she claims the assistant told her the dogs were "just babies" and that "they will not hurt you." Hobbs said she was bitten by a dog named Bella. Tucker's hits include "Delta Dawn" and "San Antonio Stroll."